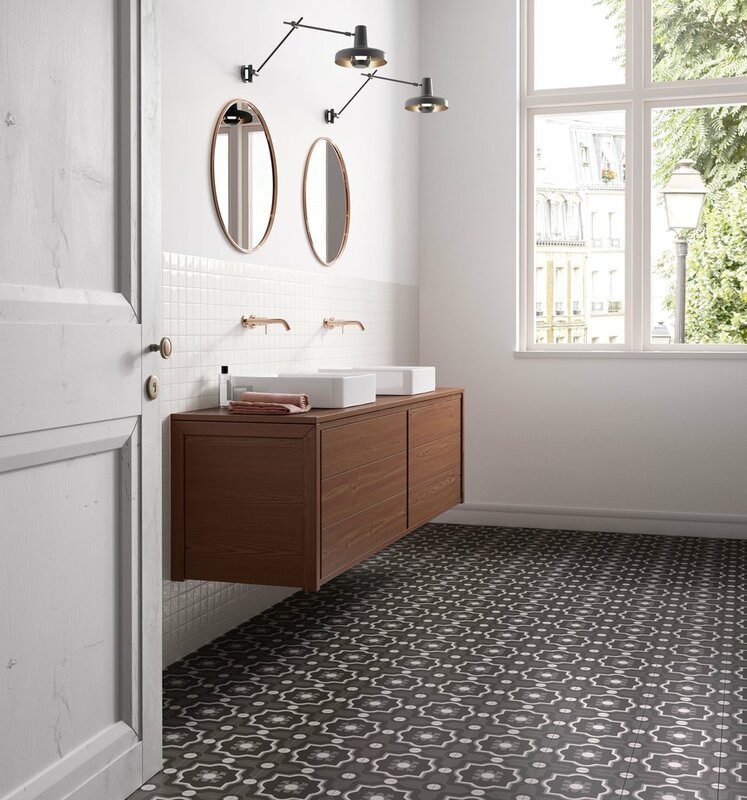 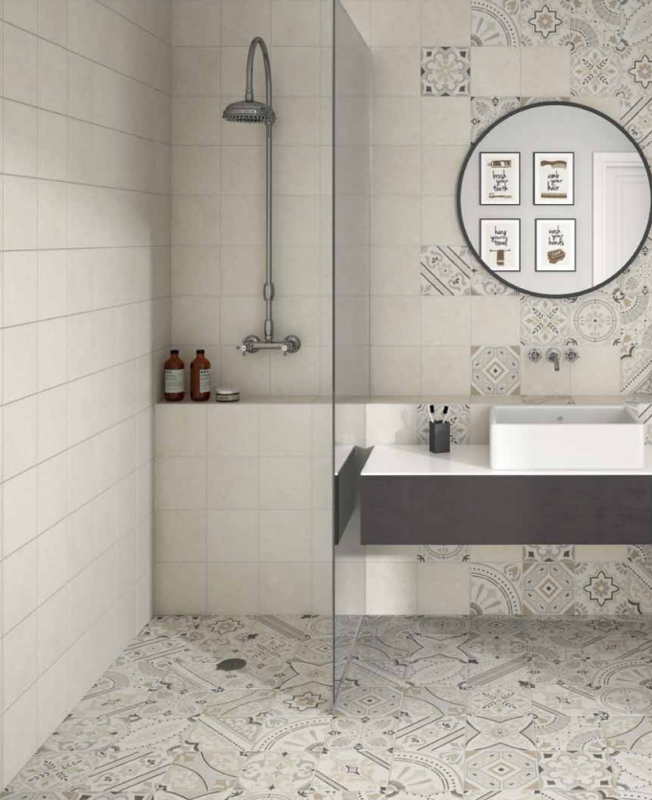 Micro, macro, geometric, floral, classic, metropolitan, vintage, dotted, marble aggregate effect: the charm of the historic handmade cement tiles has been reinvented to create surfaces and coverings with a graphic and welcoming tones. 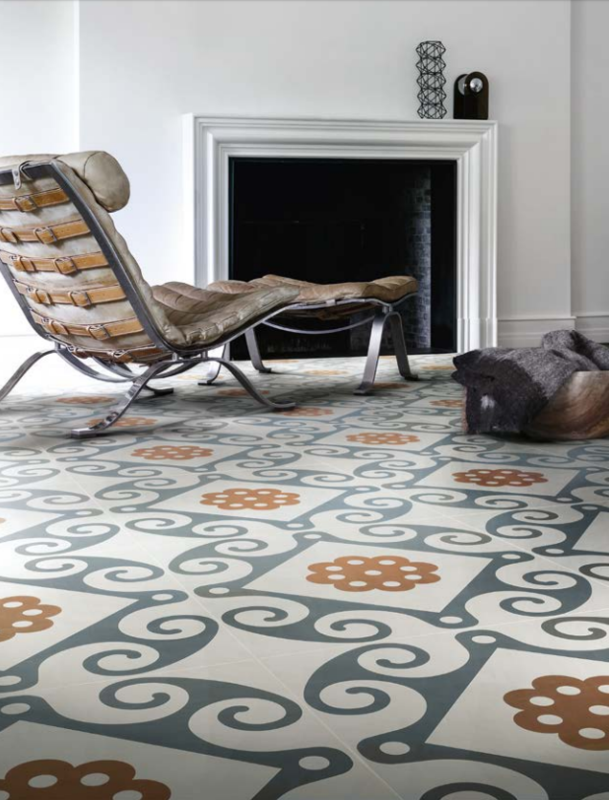 Many producers and designers have taken on the burden of reviving this tradition. 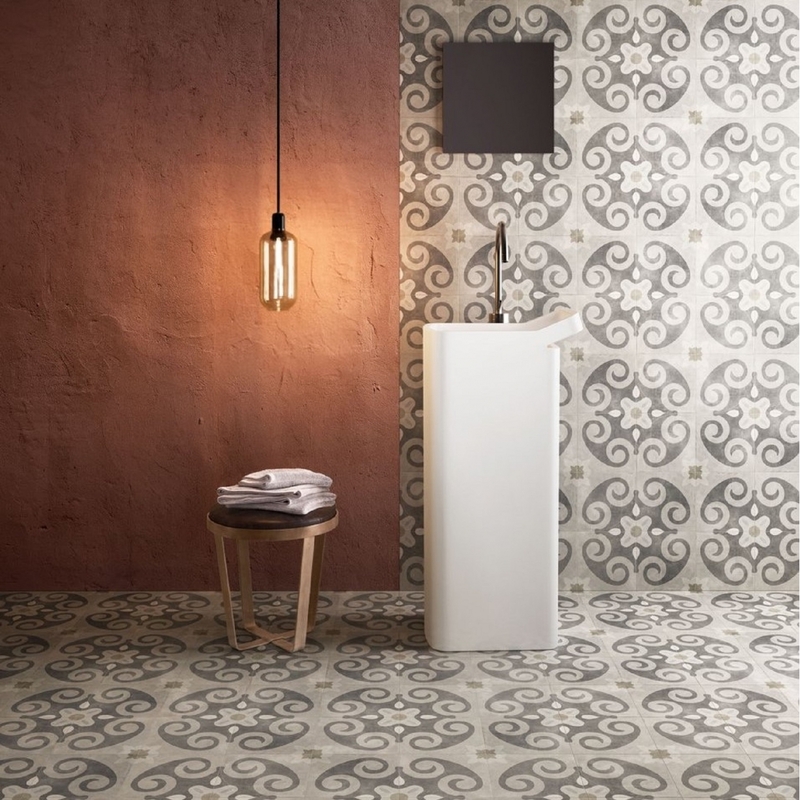 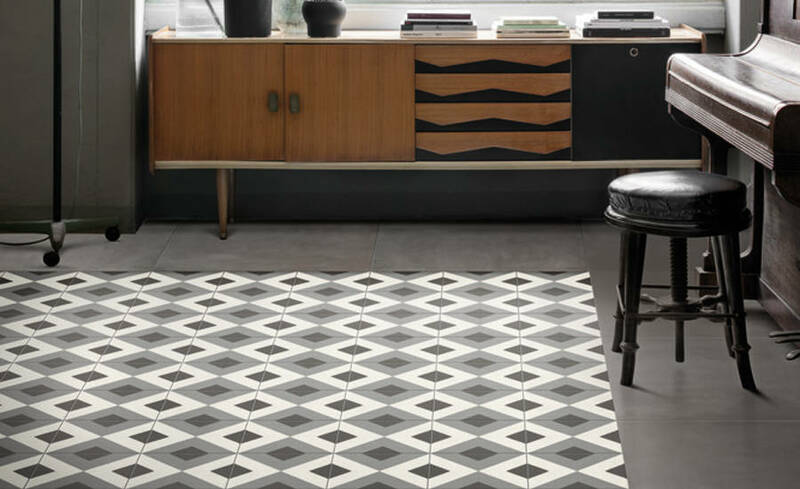 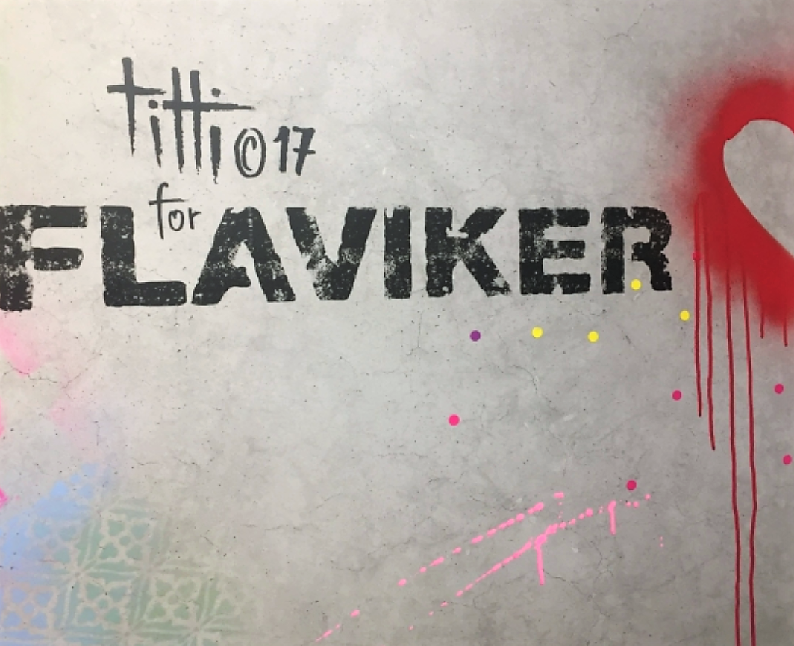 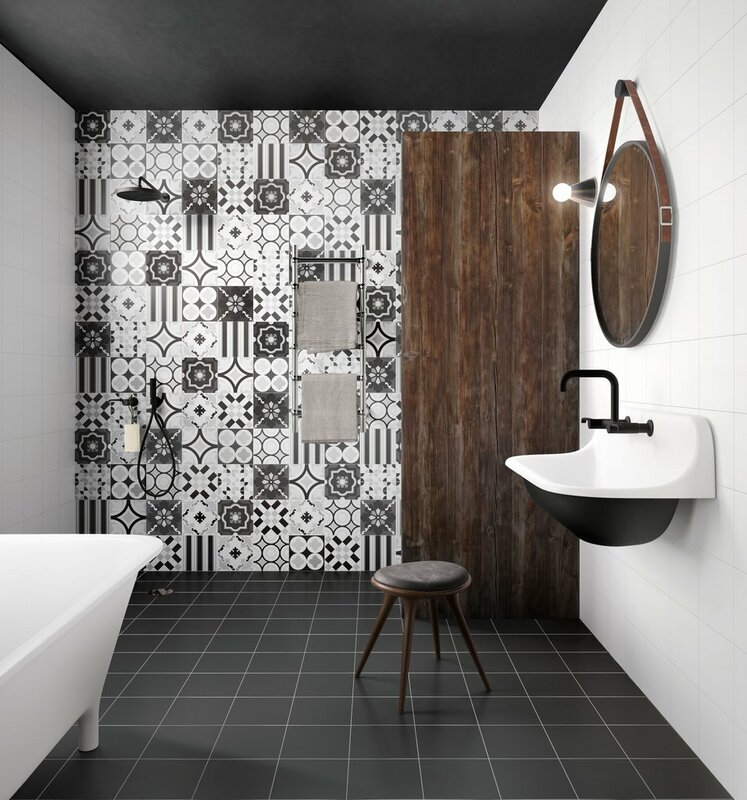 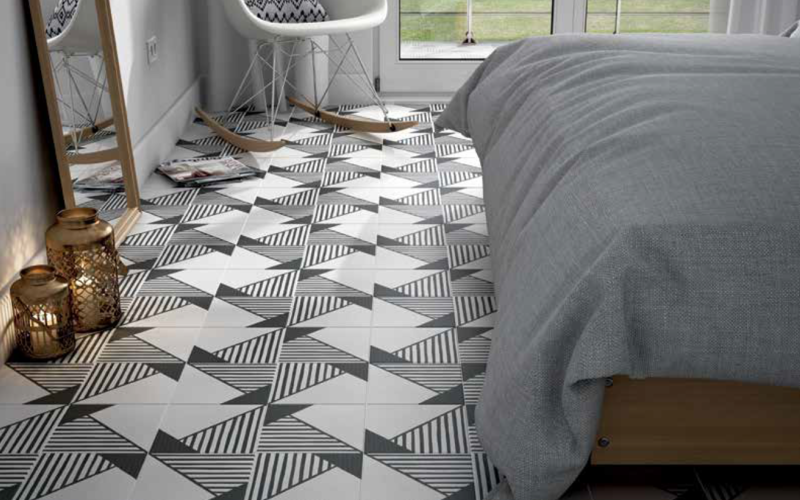 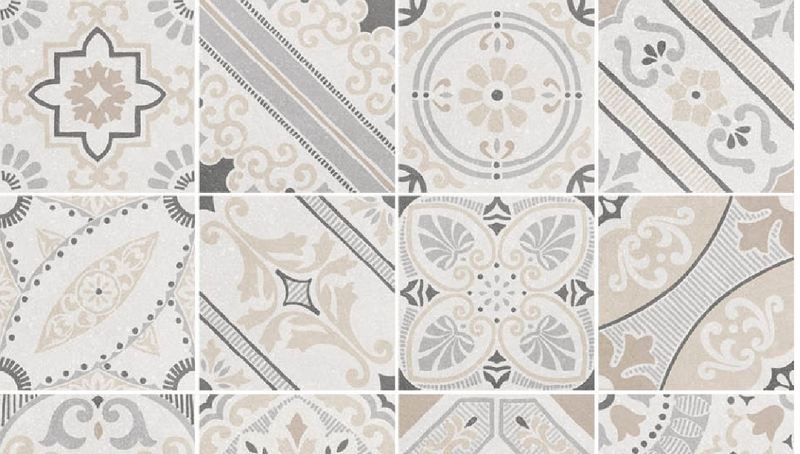 The winning material to produce new cement tiles, is the stoneware: easy maintenance, mechanical resistance and an ideal backing for digital printing. 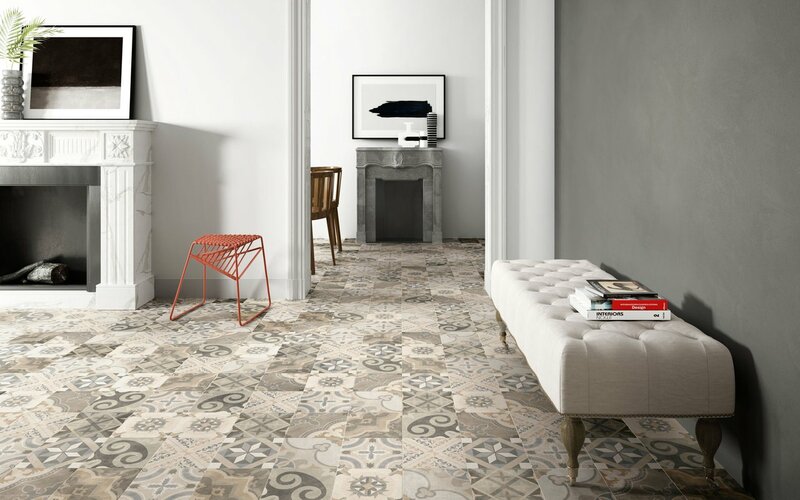 The previous technologies, in cement-based or similar compounds, revealed their technical limits and have had a short life. 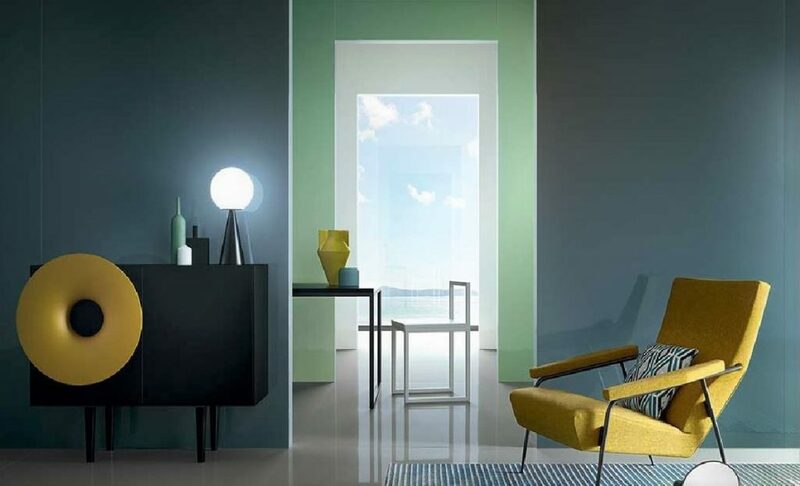 Let’s see the new proposals! 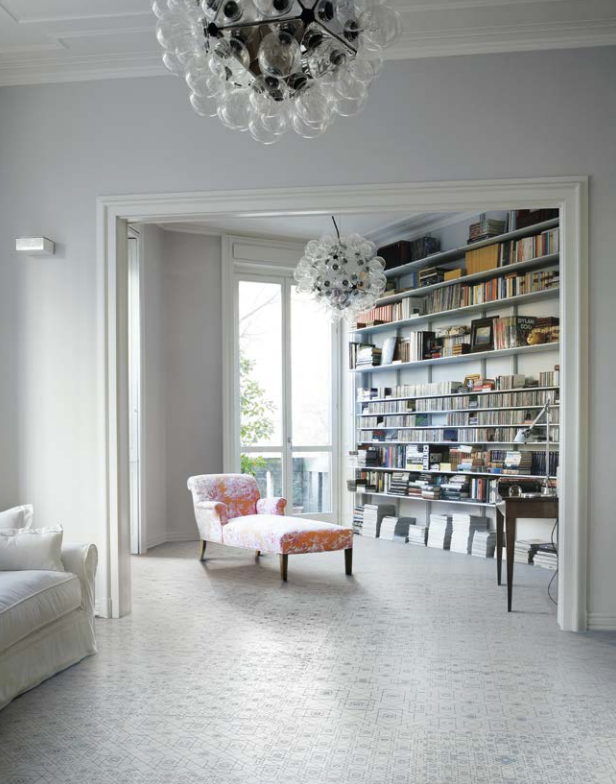 Marazzi gives a boost to his D_Segni, introducing Scaglie. 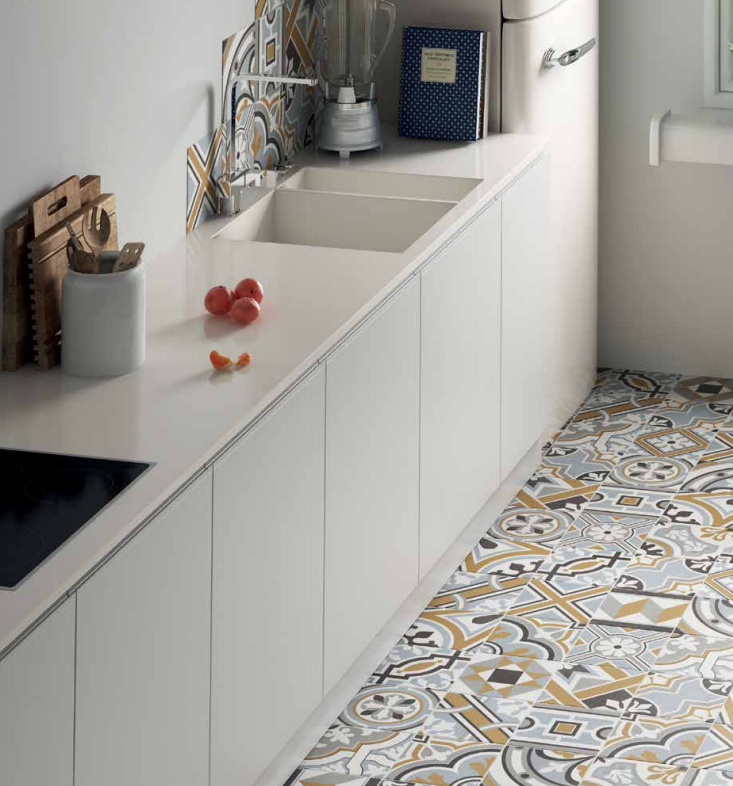 Inspired by the Venetian Seminato floor, it features polished and opaque marble flakes that create interesting light effects on the surface. 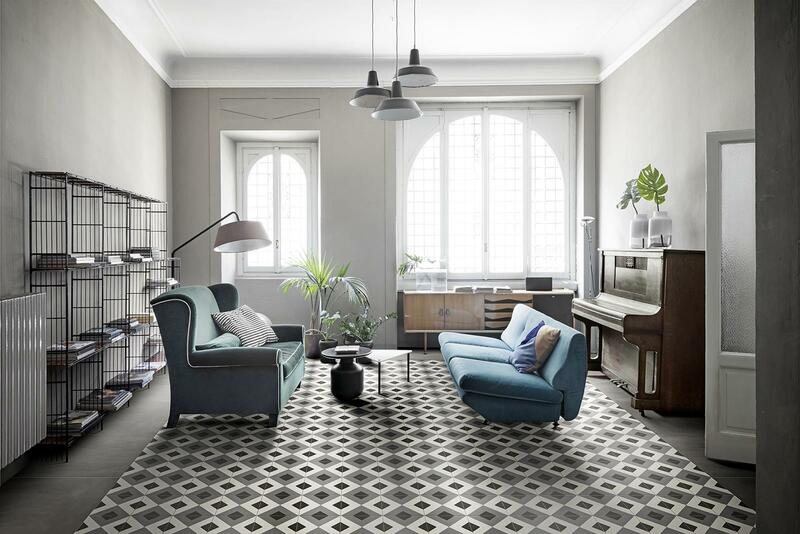 The tiles, signed by the Great Sassuolo Group are available in six colors, combined with seven rug decors and a mix decoration made with 15 different subjects. 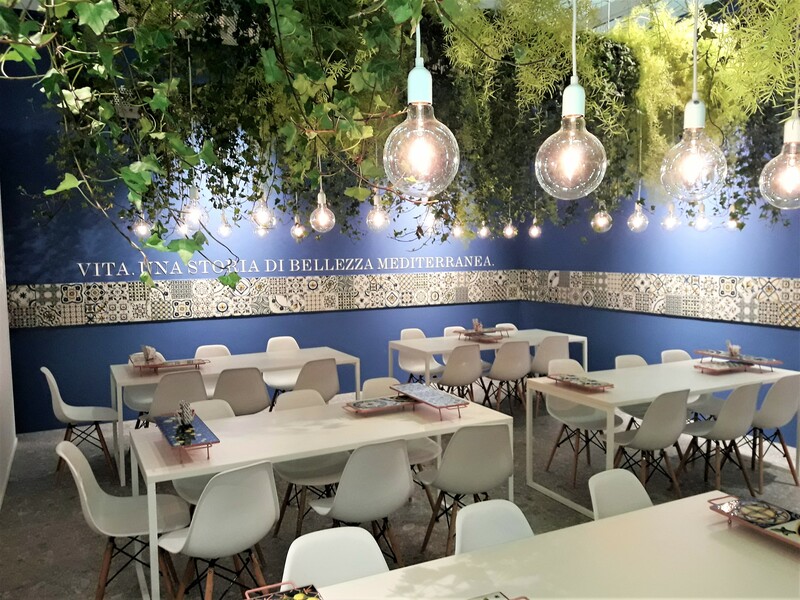 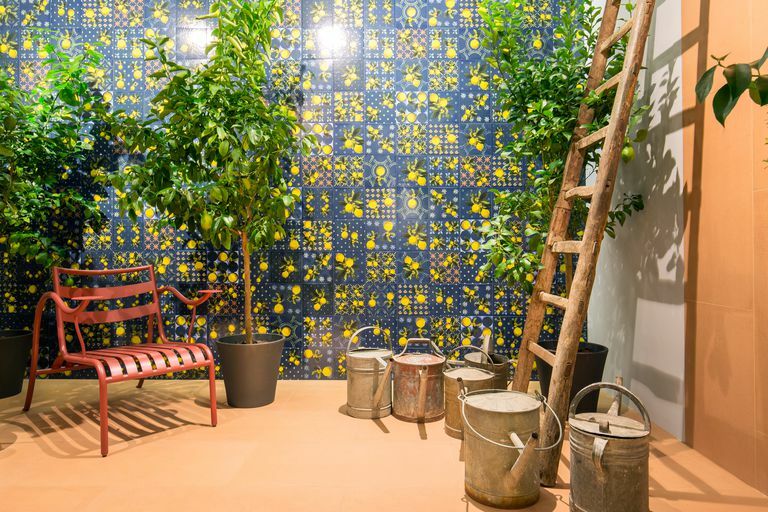 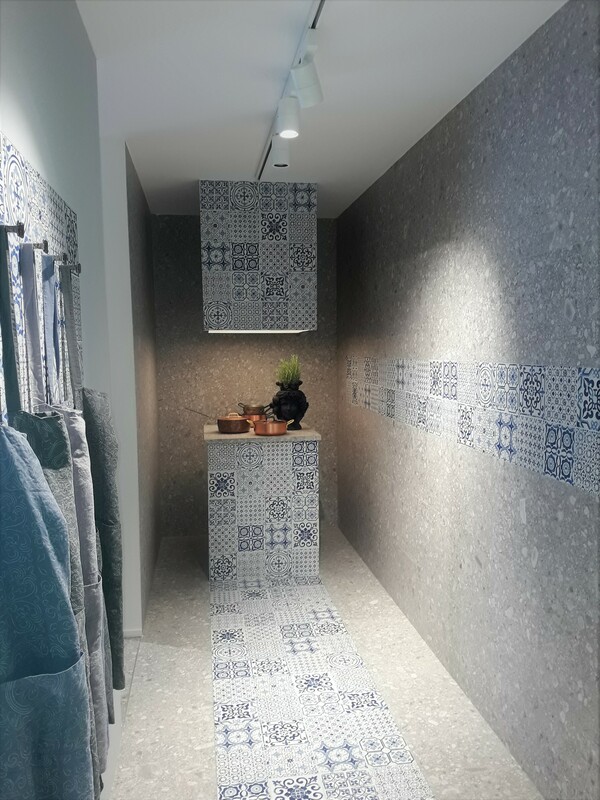 Ceramica Sant’Agostino takes a look at the handmade cement tiles of the Vietri tradition: the 20×20 comeback on the stage with their bright colors . 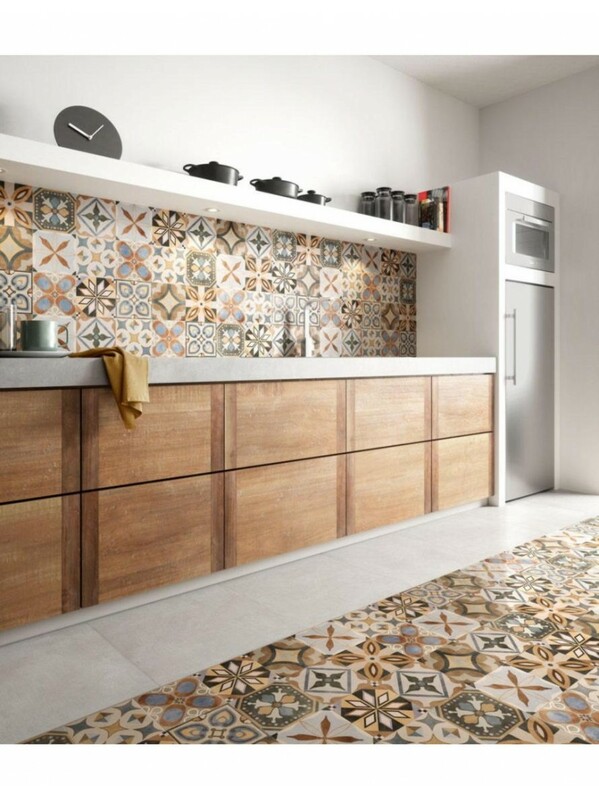 The mix with stones, cements , woods, is really interesting . 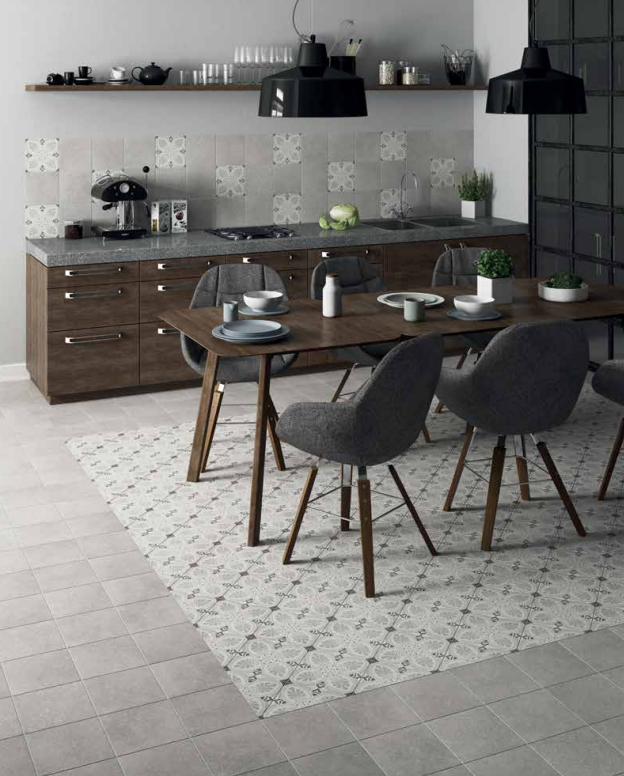 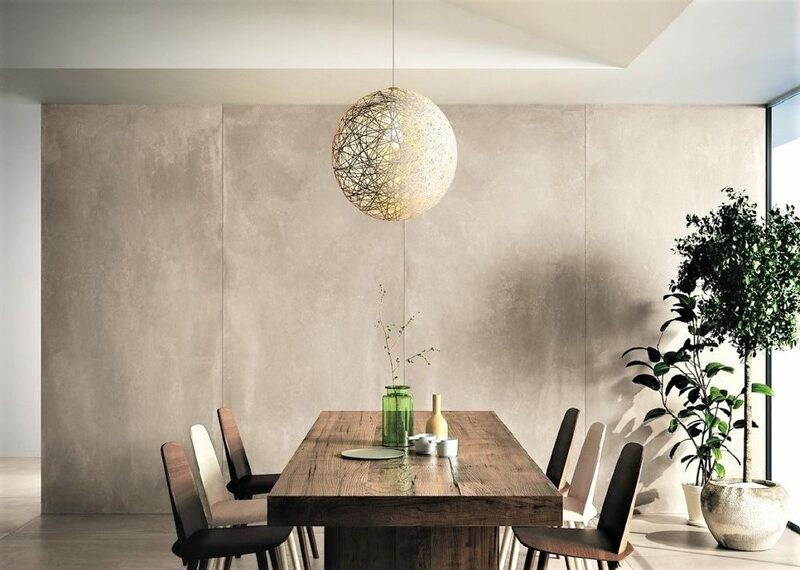 Also the Seminato has a new life for the Company of Terre del Reno, with more opaque colors and softer decors. 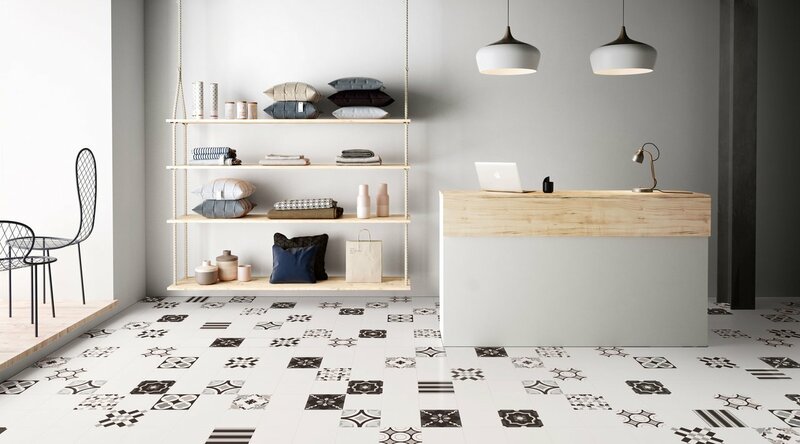 Micro by Studio One, is an alter-ego of Scaglie by Marazzi , but has a trick up its sleeve: the anti-slip surface. 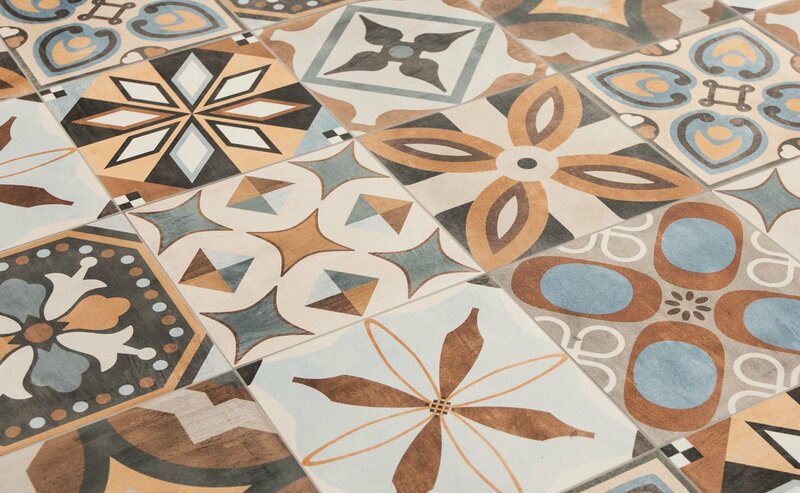 Thes finishing enable you to bring the color and warmth of these rugs out , in you outdoor.